BitTorrent Inc., the parent company of the popular BitTorrent client uTorrent, starts a new series of experiments today in which it will help artists monetize the BitTorrent ecosystem. The company has partnered with the legendary DJ Shadow who agreed to give away exclusive content to BitTorrent users. The free content bundle includes software from advertisers, allowing the artist and BitTorrent to generate revenue from users who opt to install it. A decade ago most artists cringed at the thought of giving their work away for free. But not anymore. The Internet offers artists the opportunity to reach an audience of millions at virtually no cost. It’s a gateway to expand and build fan-bases, and sharing music, movies and books is now seen as an opportunity rather than a threat. Whether it’s YouTube or BitTorrent, sharing free content has become an accepted means of advertising. In the case of YouTube there’s the added bonus that artists can generate some revenue from advertising. On BitTorrent, on the other hand, it’s pretty much impossible to include ads, but uTorrent’s parent company BitTorrent Inc. hopes to change that. Today the company has announced a new series of experiments that will allow artists to generate revenue from the work they share for free. The idea is simple. BitTorrent Inc. helps artists to promote a bundle of free content to their 150 million users. This bundle includes a piece of sponsored software such as a media player or anti-virus package that can be installed as an option. When a user installs the free software, both the artist and BitTorrent get a cut of the proceeds. “We believe we can make digital distribution even more viable for creators and fans. So, beginning now, we’ll be testing new ways to drive profitability for creators while delivering even more meaningful media experiences for our users,” BitTorrent CEO Eric Klinker comments on the announcement. The first experiment goes live today with the legendary DJ Shadow releasing a “BitTorrent bundle”. 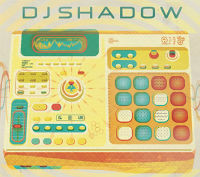 DJ Shadow’s bundle contains exclusive content and tracks from his Hidden Transmissions From The MPC Era (1992-1996) as well as some other goodies and sponsored software. With this model, BitTorrent Inc. hopes to add a lucrative revenue stream for artists while giving users more access to free content. “Our core business is creating the best torrent products in the world. While we will always have advertising and offer-free products in market such as BitTorrent Plus, we’ve seen how relevant and meaningful good content offers are to our users, and how supportive the BitTorrent community is of the content creators we work with,” Klinker says. BitTorrent Inc. will use several ways to bring the featured content to the attention of both new and existing users. New users will get the option to download it when they install uTorrent, and existing users will see banner and text ads promoting DJ Shadow’s bundle. How the bundle is promoted differs per user. BitTorrent Inc. says it remains dedicated to developing their flagship software uTorrent. These content deals are a way for them to show artists how the technology can be used to benefit them. “New business models built on top of the BitTorrent ecosystem are the future of content. This is where fans are. It’s time to bring artists, filmmakers and game developers into that conversation in meaningful ways too,” BitTorrent CEO Klinker says. 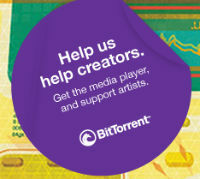 BitTorrent Inc. emphasized to TorrentFreak that this new approach to the monetization of free content is an experiment. This summer the company will roll out several campaigns and the user response will be closely monitored. DJ Shadow’s free BitTorrent release complete with sponsored software can be downloaded here, or via the in-app uTorrent advert. c There are 119 comments. Add yours?